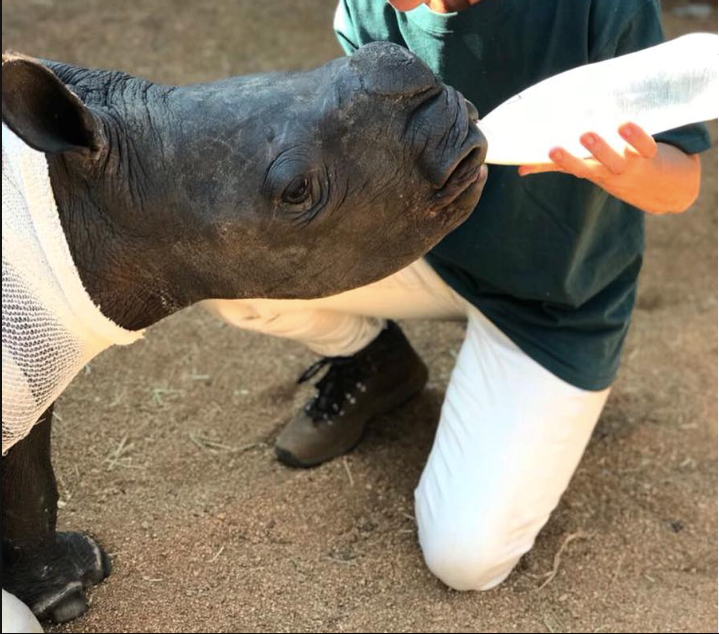 Baby Rhino Arthur at Baby Rhino Rescue | Adopt and Donate Now! IN MAY 2018 rangers in the Kruger National Park received a call that a gunshot was heard. A helicopter was dispatched immediately and a dehorned dead rhino cow with her live calf was found. The month old young calf had serious wounds from a machete on his back and right front foot. 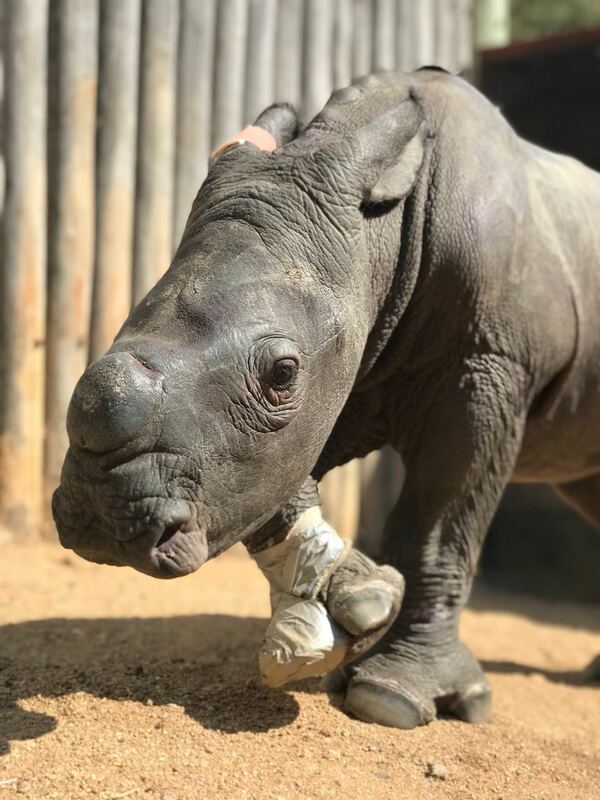 Rangers deduced that the young rhino was injured while trying to protect his mother. A vet stabilized him and he was airlifted to Care for Wild. On inspection at the sanctuary, the back wound was dangerously close to the spine. A specialized medical team was summoned to deal with Arthur’s critical situation. Luckily, he took to the milk bottle quickly, and was fed every 2 hours and monitored 24/7. For the first week his pitiful calling and crying for his mother were very difficult to bear. It was only when he went into the sun, that Arthur began to feel a little more normal. He is plucky and it wasn’t long before the young calf was tossing his hay trough around the boma. It was clear from the beginning that this young rhino is an alpha bull in the making. Taking poachers on, at such a young age, is bravery of the highest order. He was named Arthur for his valiance, his bravery, and for the fact that this young rhino is destined to become a king! He has become a social media sensation with people commenting, donating and following him, from around the globe!